Make your hands the extension of your heart. The Arts of Touch® wellness treatments is a form of communication through touch, a subtle combination of Californian and Asian massages. 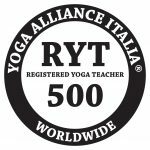 The method “Arts of Touch”® was created by Clothilde and Ray Swartley, teachers from the Esalen Massage School in California where techniques from all over the world have been experimented with for over 40 years. The practice of Arts of Touch is a holistic approach: the movements of the hands are slow, harmonious and enveloping, like a dance, stimulating in the person a process of abandonment, trust and openness.The treatment is given with a mindful touch, respect and kindness. It is composed of long rhytmic movements like waves, passive stretching, joint mobilizations and with an emphasis on breath. The Body is gentle pulled, rocked and bent in order to clear blockages and relieve tension to promote a deep mind-body relaxation. It gives a great sense of vitality, relieving stress and fatigue. Promoting the self-healing forces of the body of mind and spirit. Enjoy the journey, a journey inside yourself, for the awakening of the body’s consciousness.